The TV chef Ainsley Harriet was overcome with emotion and hurt after finding out his great-great-grandmother was a slave, bought when she was just two years old. He travelled to Barbados to find out more and was left stunned by discovering that his great-great-great-grandfather, James Gordon Harriott, came from a long line of white slave owners. It turns out Boris Johnson’s paternal grandmother, Yvonne Eileen Williams, was a descendant of Prince Paul Von Wurttemberg of Germany, who was a direct descendant of George II. This makes the 18th-century king Boris’s great-great-great-great-great-great-great-great-grandfather, which means that the former Foreign Secretary is not only related to Queen Elizabeth, but also to the Swedish, Dutch and Russian royal families. A great European after all! 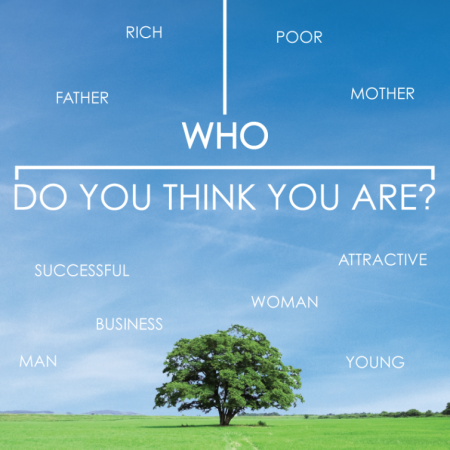 Each of these family trees fills in the details to affirm the truth that Jesus is Israel’s Messiah, the identity that Peter correctly assigns to Jesus in response to his question, “Who do you say that I am?” As we read the record of this exchange between Jesus and his disciples we cannot help but wonder why he didn’t want them to tell anyone … and to imagine how difficult it must have been for them to keep quiet. The answer to the secrecy question seems to be about timing – Jesus just wasn’t ready for his true identity to be revealed. At this point in the narrative Jesus may not have convinced the religious elites, but he does seem to have got the better of them in any argument and won the support of the crowd. At this point in the narrative Jesus has performed many miracles, including healing and feeding, and his public speaking, while not always understood by his hearers, was gaining him quite a reputation as a teacher. At this point in the narrative Jesus just could be the victorious, all conquering Messiah that many of his contemporaries yearned for. But Jesus knew that this was not the whole story; he knew that the most significant part of the narrative was to come. When Jesus told his disciples what was going to happen to him they resisted; Peter was so bold as to rebuke Jesus, but Jesus was not deflected. He understood that their minds, their eyes and ears, still perceived through a human lens that was estranged from God. He understood that the only way to open their minds was to show them, to model for them vulnerability, trust, faith. The only way to open their hearts and reconcile them to God and to each other was to open his arms on the cross. Later in the passage Jesus invites those who would follow him to take up their cross. For some followers of Christ this has included and continues to include actual martyrdom, but I would venture a wider interpretation, one that can be very difficult, but one that is available to us all. The cross is the place where our frailty, our vulnerability is fully exposed; it is the place of self-acceptance and self-love. The cross is the place where we are reconciled to God and to each other. Some may remember that two years ago the Archbishop of Canterbury was pitched into a who do you think you are? moment of his own. DNA testing revealed that the man that he had believed to be his father, Gavin Welby – a whisky salesman who struggled with alcohol addiction, was not in fact his father. Archbishop Justin was in fact the product of a drunken liaison between his mother and Sir Anthony Montague Browne, on the night before her wedding. If we were faced with our own who do you think you are? revelation, perhaps not all of us would yet be ready or able to give such a gracious response. But be assured sisters and brothers that Jesus opened his arms on the cross for us, and his gentle challenge to us is to have the courage to become fully ourselves.